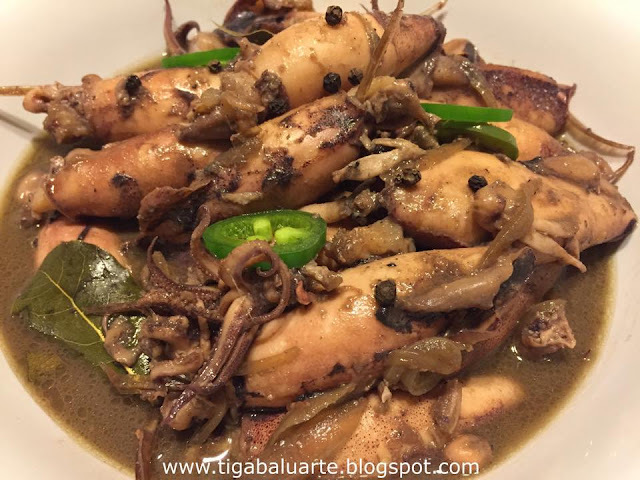 Ginisang Pusit or Sautéed Squid is a simple yet satisfying recipe for squid lover like me. 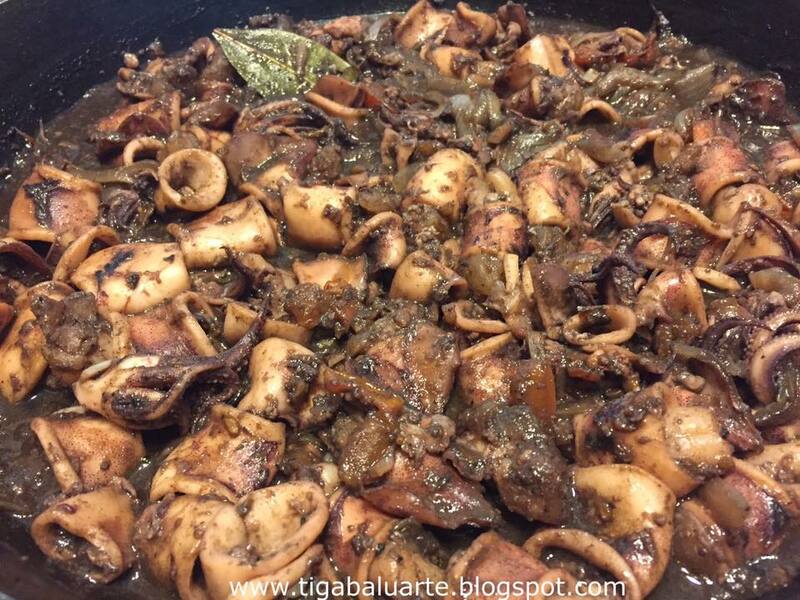 Squid is cut into rings, sautéed and simmered in a little vinegar. With this recipe I added a tablespoon of hoisin sauce that has been sitting in my fridge and surprising it turned out really good. 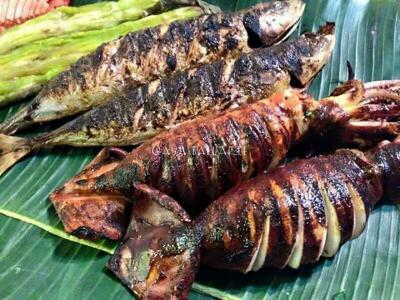 Check out the easy recipe below. Heat deep pan in medium heat and add cooking oil. Add onion, garlic, tomatoes and bay leaves. Saute for few minutes. 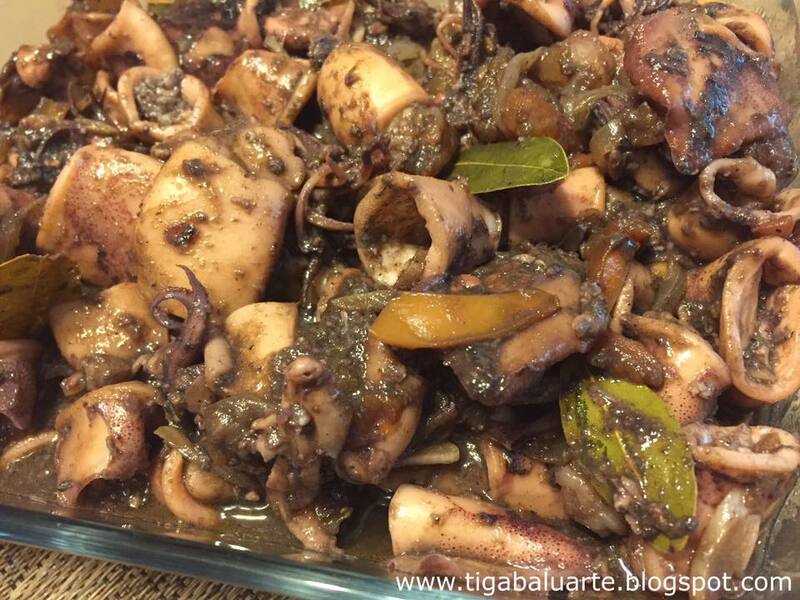 Add squid and sauté for few minutes and add vinegar, hoisin sauce or soy sauce, sugar and ground pepper. Simmer over medium high heat for 3 minutes or till sauce thickens. Remove pan from heat, transfer in a serving dish and serve hot with white rice. Enjoy.